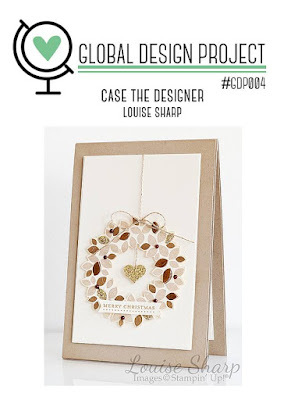 This week over at the Global Design Project there is a 'CASE the Designer' challenge and it just so happens that everyone is CASE-ing little ole' me! What does CASE stand for? It actually stands for Copy Everything and Share. However in this instance it means 'to be inspired by' the designer. 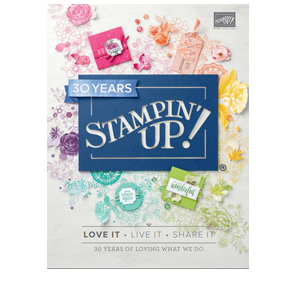 We can be inspired by anything including the layout, the colours, the theme or even the elements such as ribbons, papers and embellishments. 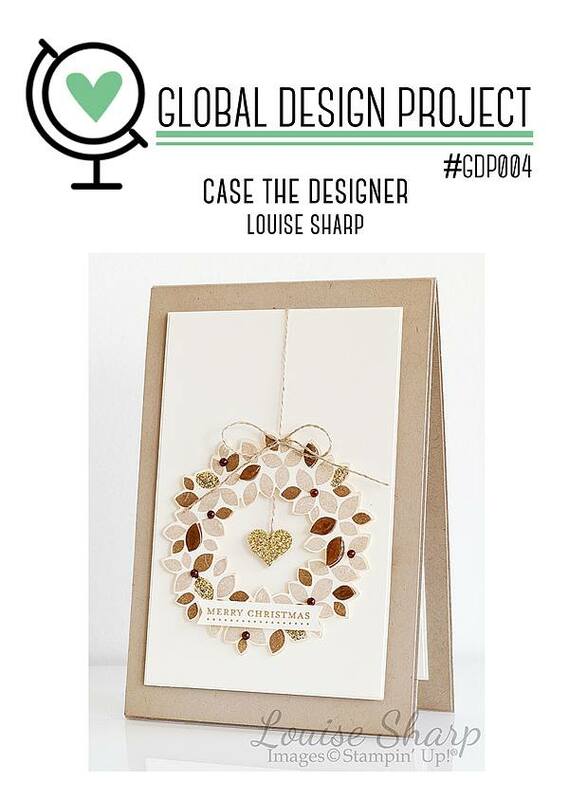 This is a project I created last year using the Wondrous Wreath Stamp Set and it still remains one of my favourites. I kept with the natural colour scheme with a touch of gold and clean layers. Faux Chipboard. I wanted the Delicate Ornament to be thick like a chipboard embellishment. The Thinlits Dies wouldn't allow me to cut thick chipboard, so I cut out 4 individually and glued them together with the new Fine-Tip Glue Pen. Voila! Thanks for stopping by, make sure you head over to see the amazing Global Design Team and how they have been inspired by this weeks challenge. Your first card was gorgeous and this is just the same. The colours and layout are so stunning. Thank you for your inspiration Louise. Louise, your card is amazing. I can't wait to get my hands on that die. 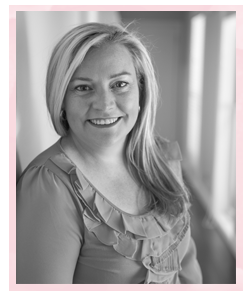 Special thanks to you and Kylie for inviting me to be a part of this amazing team. Your challenges inspire me to stretch my creativity and I love that! Hugs! Love this card Lou! 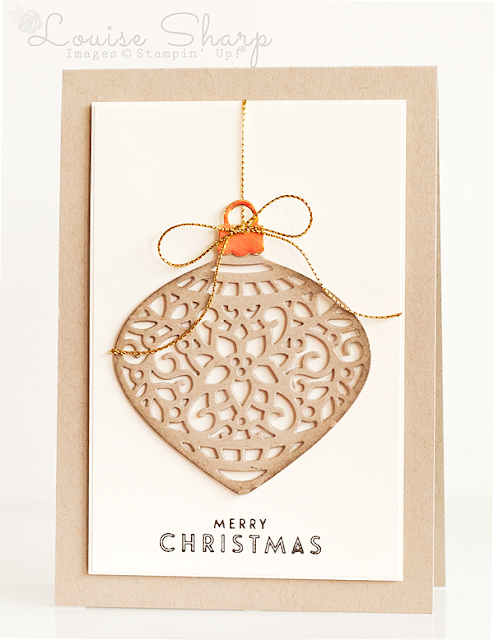 It is just so elegant and I love the faux chipboard you've created. 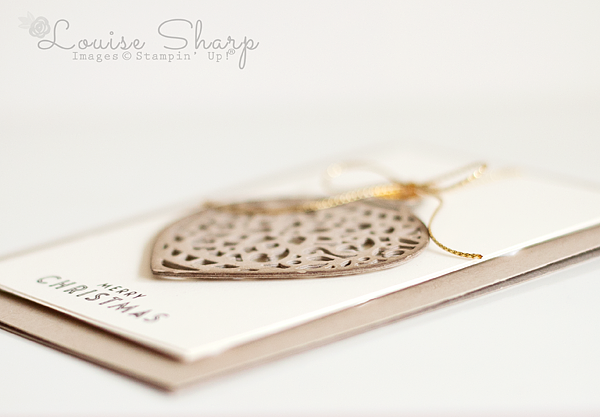 The subtle sponging makes it look so dimensional - it just pops off the card base. Thanks so much for your inspiration this week. I LOVED the opportunity to CASE your original. How awesome that we are using your design for inspiration this week! love the faux chipboard idea! clever! **LOL** Casing yourself.. another beautiful card, with your sign. loved CASEing your card this week, thanks for the inspiration! Love the soft look, your style and the faux chipboard! 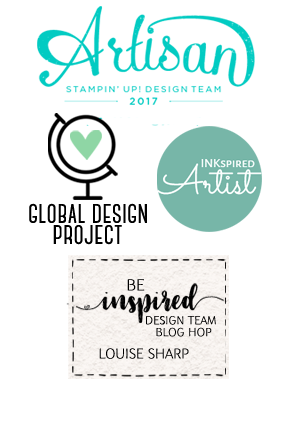 You're crazy talented Louise! It was so fun casing your creation!